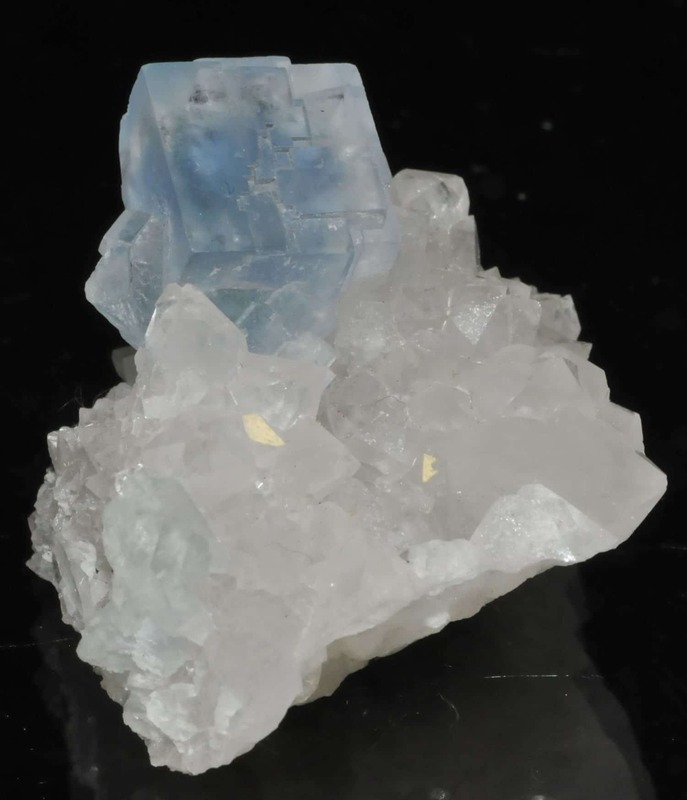 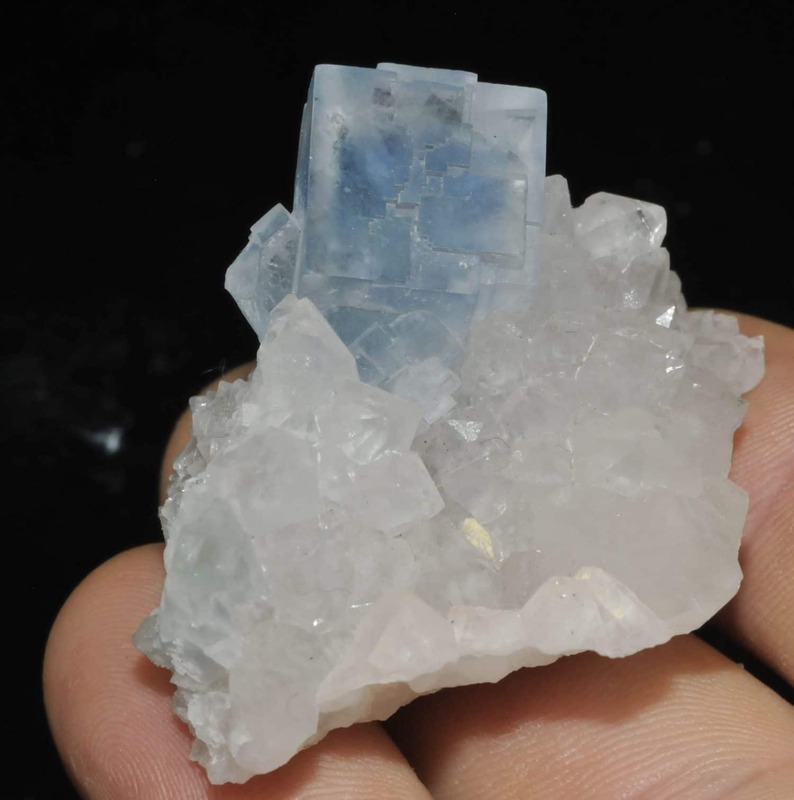 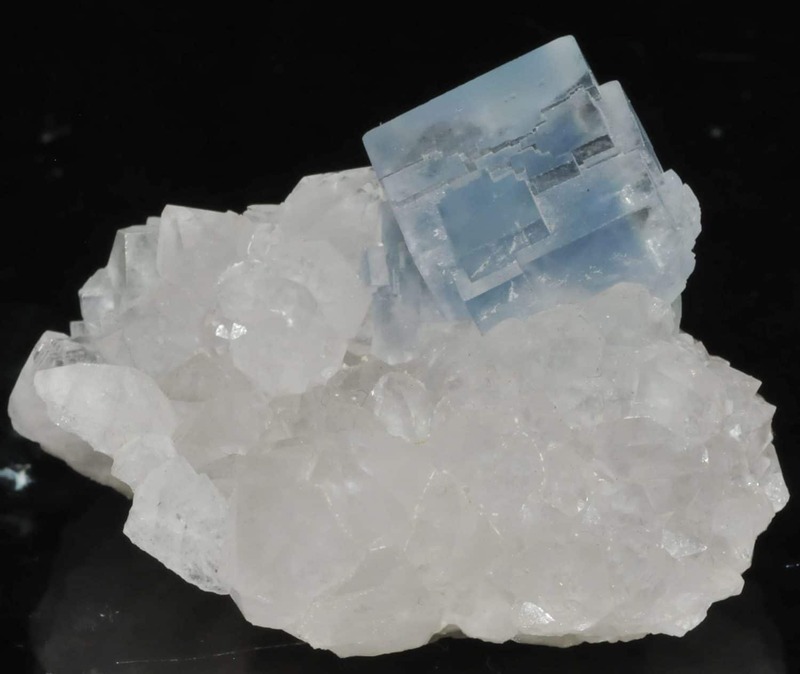 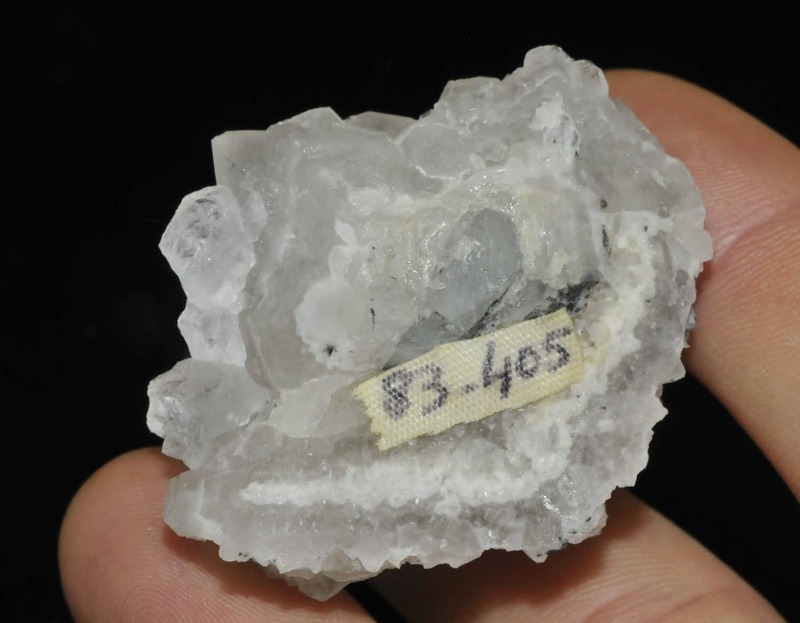 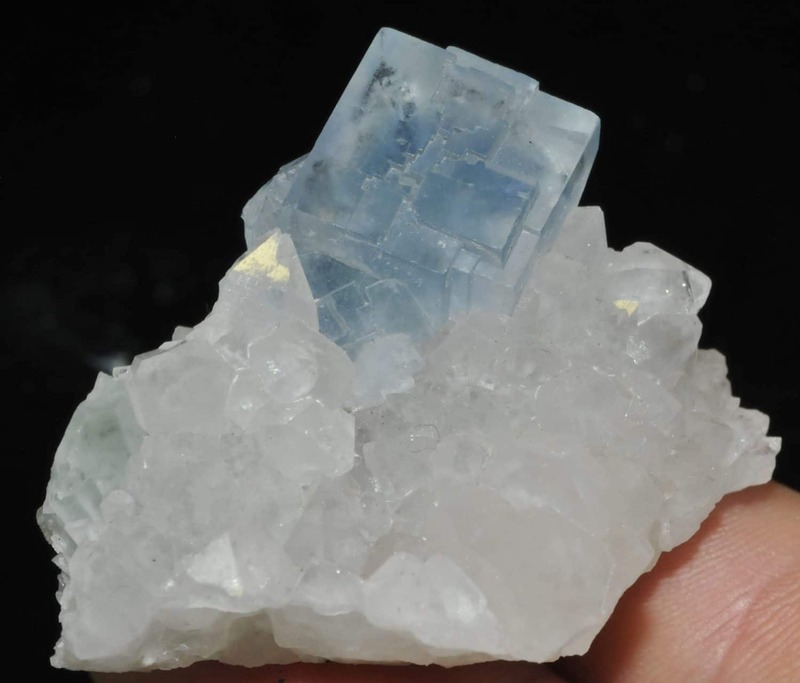 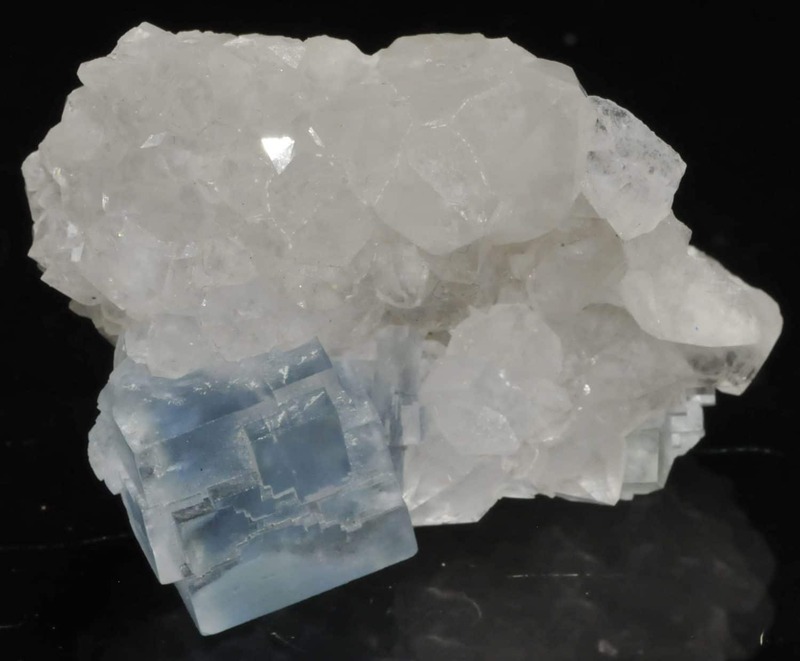 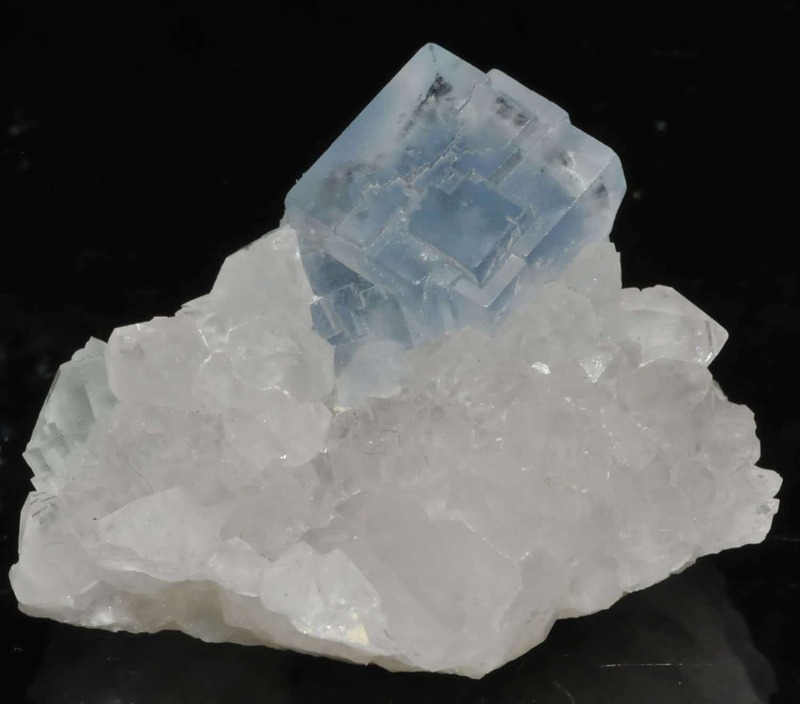 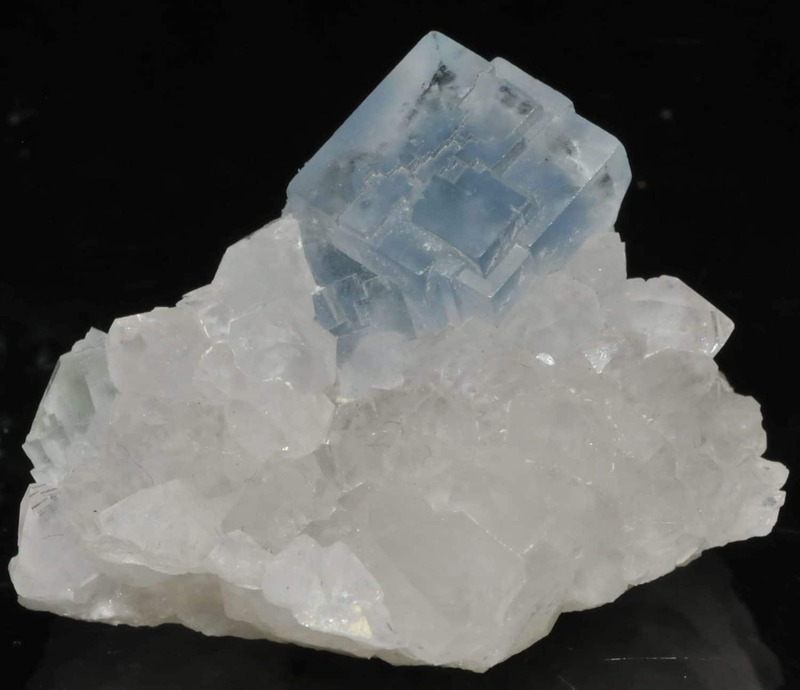 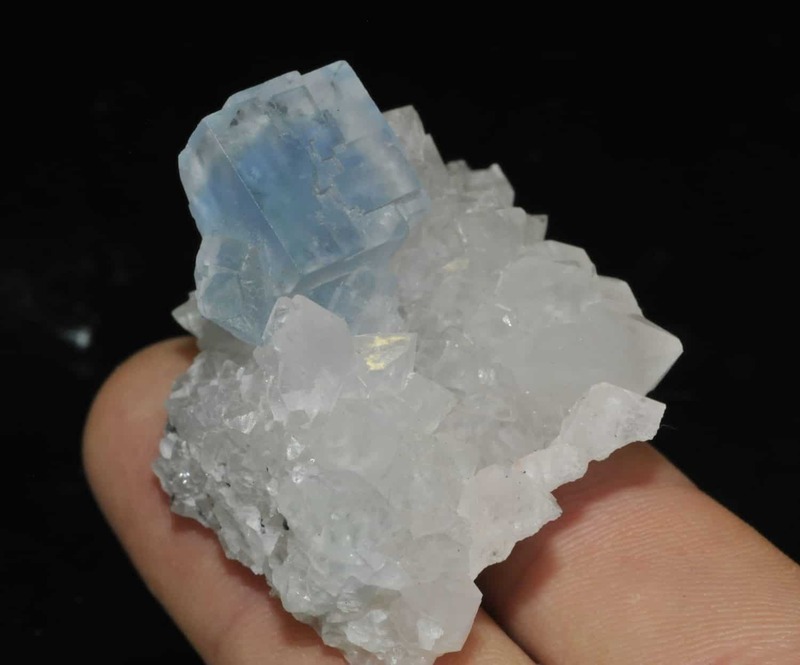 Blue fluorite cube on white quartz crystals from the Burc mine, Burg, Tarn. 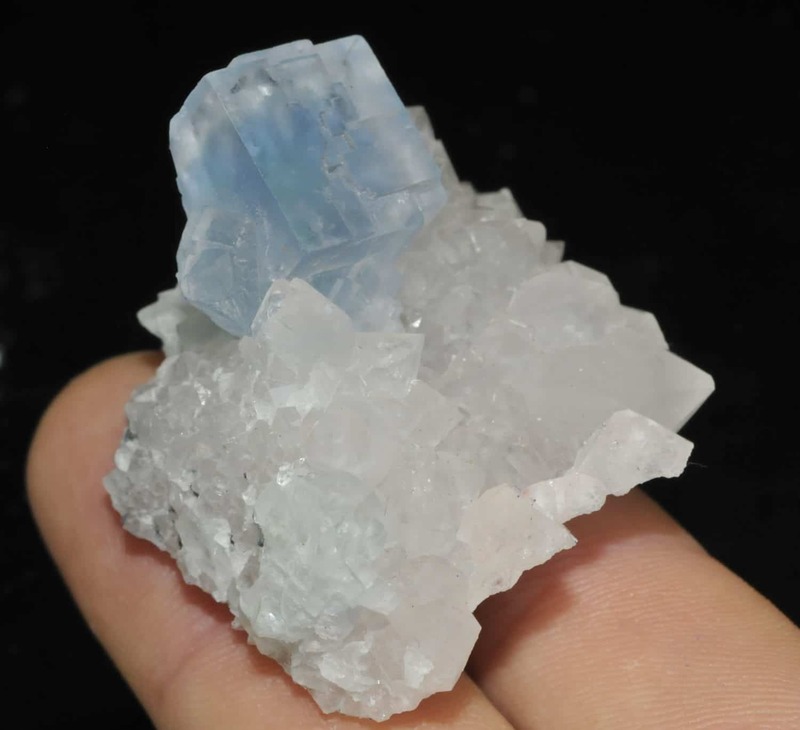 The blue fluorite crystal is about 1.4 x 1.4 cm. 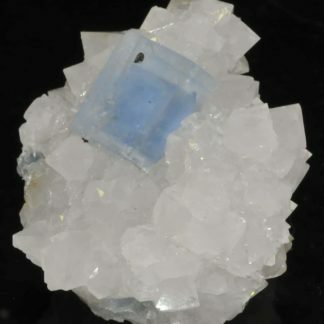 Small piece selected from the fluorite collection of Michel and Nicole Carré.